Kali Linux is one of the most loved distros by the ethical hacking and security community because of its pen-testing and exploit tools. It is a free, and open-source Linux-based operating system designed for digital forensics, penetration testing, reversing, and security auditing. Kali allows you to download a range of security-related programs such as Metasploit, Nmap, Armitage, Burp, and much more that can be used to test your network for security loops. It can run natively when installing on a computer’s hard disk, can be booted from a live CD or live USB, or it can run on a virtual machine. Kali Linux has a lot of tools available to learn and practice. In this article, we bring to you the top 5 Kali Linux tools that a wannabe (ethical) hacker or security researcher can use. Abbreviated as Nmap, the Network Mapper is a versatile must-have tool for Network Security, plus it is a free and open source. It is largely used by security researchers and network administrators for network discovery and security auditing. System admins use Nmap for network inventory, determining open ports, managing service upgrade schedules, and monitoring host (A term used for “the computer on a network”) or service uptime. The tool uses raw IP packets in many creative ways to determine what hosts are available on the network, what services (application name and version) they offer, which type of protocols are being used for providing the services, what operating system (and OS versions and possible patches) and what type and version of packet filters/firewalls are being used by the target. This tool is used for exploiting (utilizing network weakness for making a “backdoor”) vulnerabilities (weak points) on Network. This tool comes in both free and paid versions and not open source. The free version is good for normal exploits but deep penetration requires the paid version which gives you a full set of features. The paid version of Metasploit offers such important features that it deserves the price it claims. 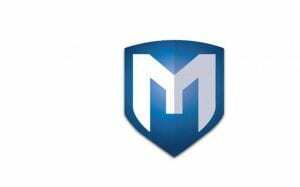 The Metasploit Project is a hugely popular pen-testing (penetration testing) or hacking tool that is used by cybersecurity professionals and ethical hackers. Metasploit is essentially a computer security project that supplies information about known security vulnerabilities and helps to formulate penetration testing and IDS testing. Some Kali Linux users may rate Wireshark as the top Wi-Fi pen-testing tool though it surprisingly missed making it to last year’s list. Wireshark is the world’s foremost network protocol analyzer. It lets you see what’s happening on your network at a microscopic level. 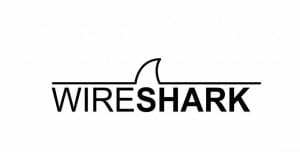 It is the de facto (and often de jure) standard across many industries and educational institutions.Wireshark is one of the best network [protocol]analyzer tools available, if not the best. With Wireshark, you can analyze a network to the greatest detail to see what’s happening. Wireshark can be used for live packet capturing, deep inspection of hundreds of protocols, browse and filter packets and is multi-platform. The Aircrack suite of Wi-Fi (Wireless) hacking tools are legendary because they are very effective when used in the right hands. This tool also makes it to Concise top 10 for the first time. For those new to this wireless-specific hacking program, Aircrack-ng is an 802.11 WEP and WPA-PSK keys cracking hacking tool that can recover keys when sufficient data packets have been captured (in monitor mode). 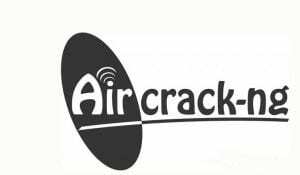 For those tasked with penetrating and auditing wireless networks Aircrack-ng will become your best friend. It’s useful to know that Aircrack-ng implements standard FMS attacks along with some optimizations like KoreK attacks, as well as the PTW attacks to make their attacks more potent. If you are a mediocre hacker then you’ll be able to crack WEP in a few minutes and you ought to be pretty proficient at being able to crack WPA/WPA2. Concise polls place THC Hydra one place under ‘John The Ripper’ because of user popularity though it is as popular as John The Ripper. 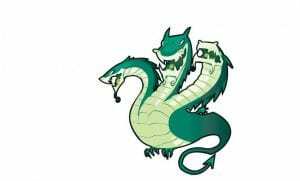 Essentially THC Hydra is a fast and stable Network Login Hacking Tool that will use a dictionary or brute-force attacks to try various password and login combinations on the login page. This hacking tool supports a wide set of protocols including Mail (POP3, IMAP, etc. ), Databases, LDAP (Lightweight Directory Access Protocol), SMB, VNC, and SSH (Secure Shell used by VPN software).